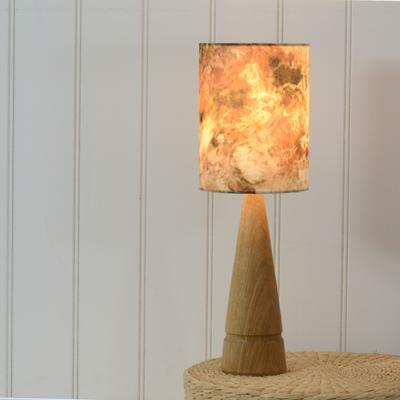 Here we have a solid, locally sourced rustic oak cone lamp either oiled or limed with a small detail cut in around the lower part of the base giving a simple and elegant look to the design. 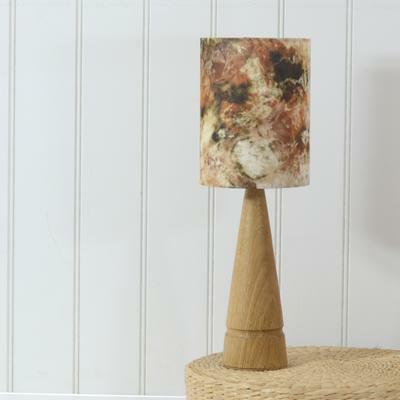 This slimline lamp will fit in any of those small spaces lighting up those areas with a stunning natural glow. 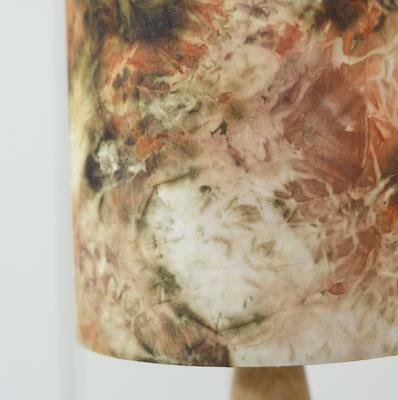 The mini tall drum shade is made from a hand dyed silk sourced from a local Suffolk artisan who uses natural dyes from the land to create unique earthy colours and patterns, this particular silk is hand dyed with local onion skins. 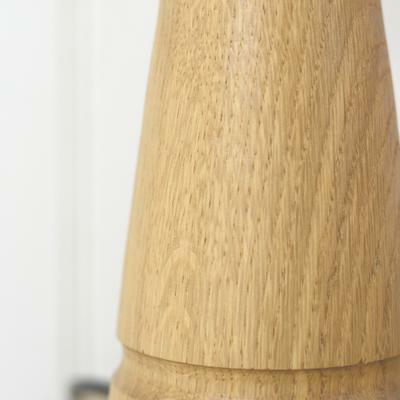 Choose your finish from the images, the lighter wood is the limed oak and the darker wood is the oiled. 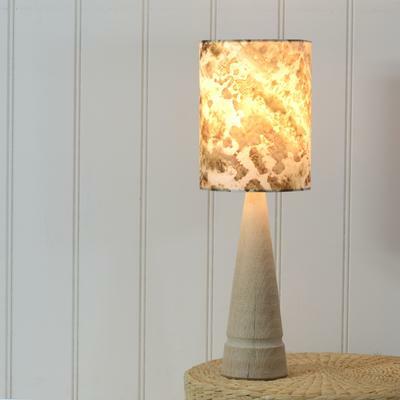 This lamp is supplied with an energy efficient LED bulb. This item is sold and dispatched directly by Storm Furniture. 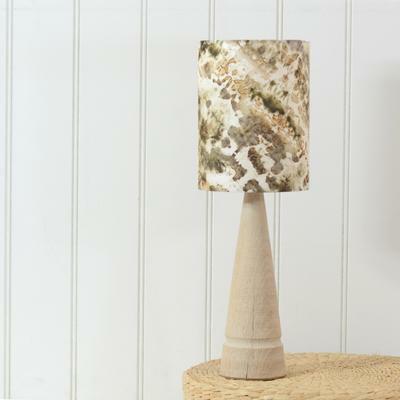 Here at Storm furniture, we are based in rural Suffolk and design original furniture, statement lighting and quirky giftware products. Everything is made by hand using a mix of traditional and modern techniques which compliment the process perfectly. Our products must be pleasing to make, with each step working seamlessly to the next. We pride ourselves on these small scale manufacturing processes, which give us consistent results time and time again. Only the highest quality materials are used to create each piece, with sustainablity always in mind. 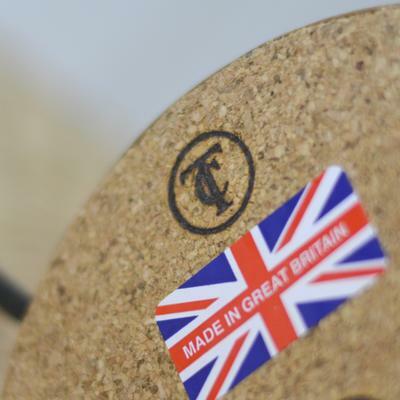 Each piece of furniture is fitted with a makers stamp to prove its authenticity, and each piece we make is made with the same love and care as the last. 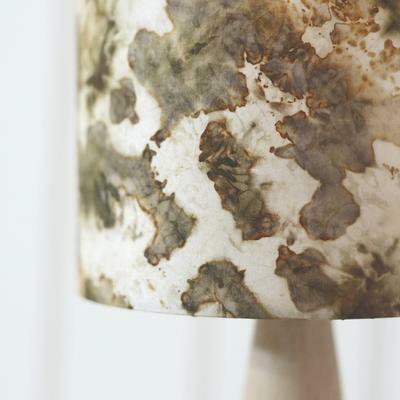 We make a range of high end lamps with a growing collection of wood veneer lampshades and pendants with matching ceiling roses, sure to fit any interior design. 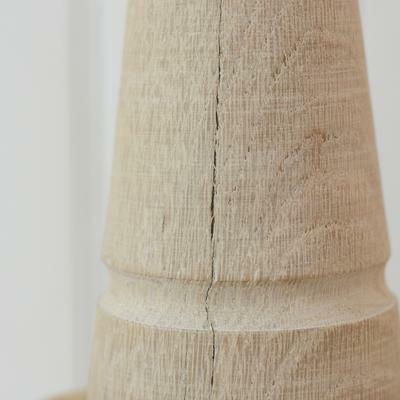 Its all about the details at Storm, we love what we do and our products reflect that.